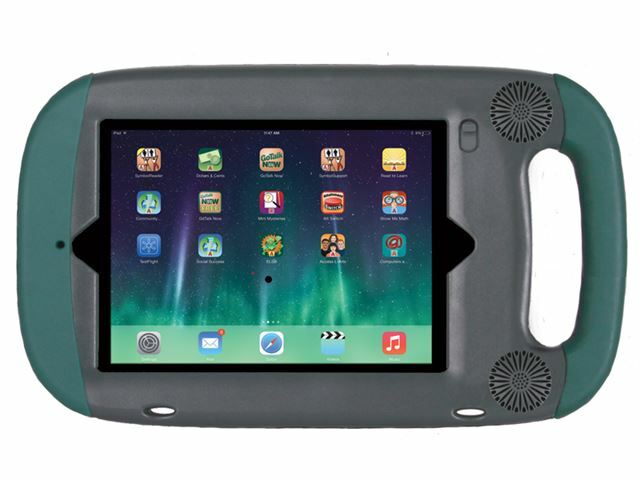 A rugged case for the iPad Air, iPad Air 2, iPad Mini, iPad Mini 4, iPad 2017, iPad 2018 or iPad Pro 9.7 – carry, protect and enhance the sound of your iPad. The new Rugged Cases for iPad Air, iPad Air 2, iPad Mini, iPad Mini 4, iPad 2017, iPad 2018 or iPad Pro 9.7 has rubber edging on the top and bottom, plus a moulded rubber pad in the interior. This further increases shock absorption and provides a more secure handle grip. The Rugged also has fold-out feet to add a slight elevation when lying flat — ideal for keyboarding. Please note: although we cannot guarantee the safety of your iPad Air, iPad Air 2, iPad Mini, iPad Mini 4, iPad 2017, iPad 2018 or iPad Pro 9.7, we do provide a one year warranty on the GoNow iPad Case. iPad not included. The reversible Cover Stand functions as both an adjustable stand and durable cover to protect the iPad’s glass screen in transport and storage. As a stand, it snaps on the back of the GoNow Case. Pull out the stand and adjust the viewing angle. It snaps on the front to completely cover the screen. 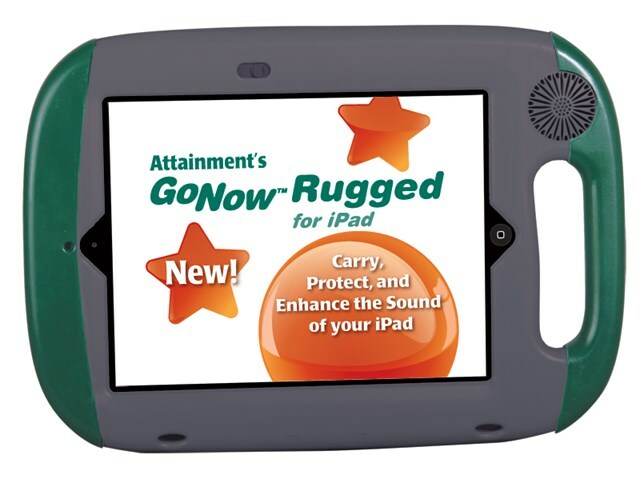 The Cover Stand works with GoNow Case for iPads 2,3 and 4. It does not fit the Mini versions. Please note: Don’t try to snap the Cover Stand on a GoNow Case unless the screws are fully tightened. The Shoulder Strap fits with all GoNow Cases for iPad, iPad Mini and iPad Mini 4. The durable clip-locks open and close easily. The length can be adjusted to fit all users regardless of height.